We can assist you with swimming pool pump motor replacement when your pool pump motor seems to have reached the end of its lifespan in Hickory. Swimming Pool Pump Motor Replacement in Hickory – You switch on the pool pump for the first week of summer, and all you get is a quick whir and then nothing. Hmmm, what could be wrong? You try again, but continue to have problems getting your pool pump to start. Guess it’s time to call us at S & H Pools to see what could be going on. At S & H Pools, our pool services aren’t just about providing the basic necessities for your swimming pool in the Hickory, North Carolina area. We can also assist you with swimming pool pump motor replacement when your pool pump motor seems to have reached the end of its lifespan. Grinding or Screeching – This could be the result of several things, including bad bearings or a leaky shaft seal inside the motor. Either way, it will need to be replaced. Loud Humming – You’ll probably need swimming pool pump motor replacement if you hear a loud humming due to a failing capacitor or frozen bearings. Flipped Breaker – If you turn on your pool pump and a breaker flips on your electrical panel, this indicates something inside the motor has failed and you will need to have it replaced. Silence – The motor’s shaft is frozen and there is nothing left to do but install a replacement. You don’t have to attempt swimming pool pump motor replacement on your own when you have our team at S & H Pools. We have been assisting our customers with all their pool repairs and servicing needs since 1974, and there isn’t any job too big or small. 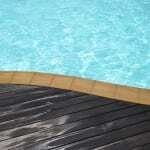 If you have questions about your swimming pool pump or any other issues with your outdoor pool, give us a call today.